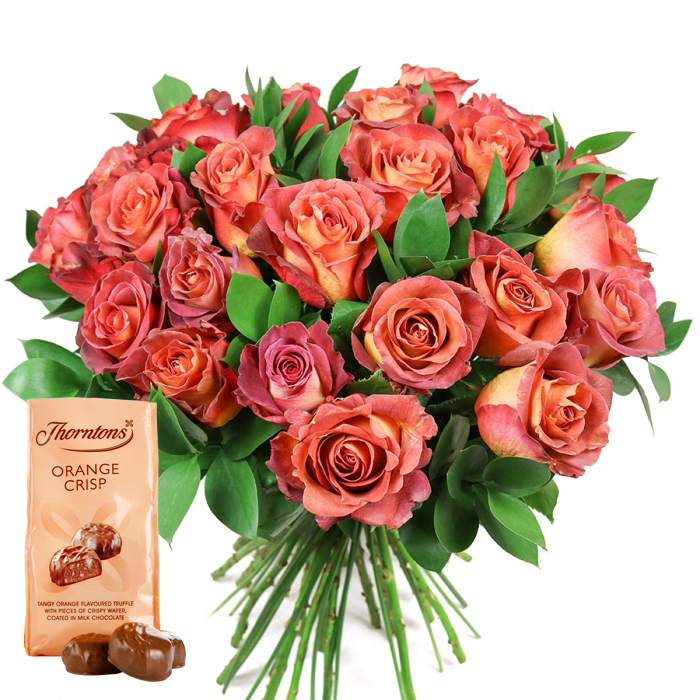 Roses are among the most admired and loved flowers that you can choose for a surprise gift! Our luxurious "Sweet serenade" bouquet can help you show your love, gratitude and devotion to someone special to your heart in a way that they will always remember! Along with the beautiful flowers your recepient will enjoy a delicious box of chocolates. Pictured bouquet is Grand size. All sizes come with chocolates. Love how bright and cheery your flowers are, totally fab. So happy I ordered from you! Your flowers are always wonderfully perfect! My wife was very touched by this simple elegance and grace! Roses are a woman`s best friends! It was a great surprise to receive this bouquet. Oh, and the chocolates were a great addition ;) Thank you! This bouquet is perfect for anyone who loves roses. Excellent quality flowers, fast delivery and friendly staff. Delivered on time to the recipient. Thanks! Lovely bouquet. It was a real pleasure to order from this florist and talk with their amazing team. Definitely will use again! The best gift for Valentine's Day!!! Got the flowers delivered early in the morning and they looked fabulous! Thank you, Handy Flowers for helping me surprise my girlfriend with a ravishing bouquet!